Discussion in 'Technology News' started by Cyberghost, Apr 10, 2019. This breakthrough was announced today in a series of six papers published in a special issue of The Astrophysical Journal Letters. The image reveals the black hole at the centre of Messier 87 , a massive galaxy in the nearby Virgo galaxy cluster. This black hole resides 55 million light-years from Earth and has a mass 6.5 billion times that of the Sun . The EHT links telescopes around the globe to form an unprecedented Earth-sized virtual telescope . The EHT offers scientists a new way to study the most extreme objects in the Universe predicted by Einstein’s general relativity during the centenary year of the historic experiment that first confirmed the theory . "If immersed in a bright region, like a disc of glowing gas, we expect a black hole to create a dark region similar to a shadow — something predicted by Einstein’s general relativity that we’ve never seen before," explained chair of the EHT Science Council Heino Falcke of Radboud University, the Netherlands. "This shadow, caused by the gravitational bending and capture of light by the event horizon, reveals a lot about the nature of these fascinating objects and has allowed us to measure the enormous mass of M87’s black hole." "The confrontation of theory with observations is always a dramatic moment for a theorist. It was a relief and a source of pride to realise that the observations matched our predictions so well," elaborated EHT Board member Luciano Rezzolla of Goethe Universität, Germany. The EHT observations use a technique called very-long-baseline interferometry (VLBI) which synchronises telescope facilities around the world and exploits the rotation of our planet to form one huge, Earth-size telescope observing at a wavelength of 1.3mm. VLBI allows the EHT to achieve an angular resolution of 20 micro-arcseconds — enough to read a newspaper in New York from a café in Paris . European facilities and funding played a crucial role in this worldwide effort, with the participation of advanced European telescopes and the support from the European Research Council — particularly a €14 million grant for the BlackHoleCam project . Support from ESO, IRAM and the Max Planck Society was also key. "This result builds on decades of European expertise in millimetre astronomy”, commented Karl Schuster, Director of IRAM and member of the EHT Board. Vyom and chimera201 like this. picture of candle flames look similar. thanks. chimera201 and TheSloth like this. You actually have an image instead of just data. Perhaps the corona is gaseous matter from some star that the black hole consumed. This particular photo might look underwhelming. It is not the first time the object has been photographed tho. 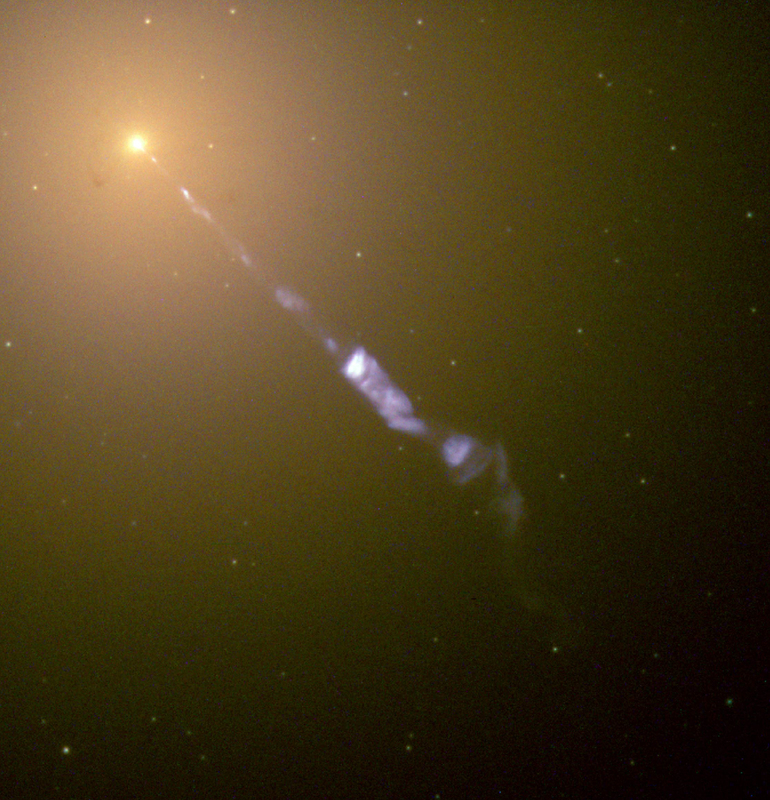 The astrophysical jet from m87 is actually one of the most spectacular astronomical images every taken. if that is what the event horizon looks like in respect to the corona, then it's interesting. but i would guess size of the actual event horizon would be bigger, that want is seen their in picture, because of all the light bending and refraction type things going on. may be it would look like the black hole from intersteller, with a close high resolution image.